Who knows that these 5'10" Brazilian volleyball star who was in Manila for the FIVB World Women's Volleyball Grand Prix is now seating the Senate post in Brazil? The international volleyball legend Leila Barros who once won the heart of every Filipinos embarks on a new battle after winning a Senate seat. "I thank you all for the opportunity. I am very happy, honored and I take a great deal of responsibility for this important task!," she said on her official Facebook page. "Much appreciation for the 467,787 people who trusted me and now I promise to honor each and every one of you with hard work," Barros said. 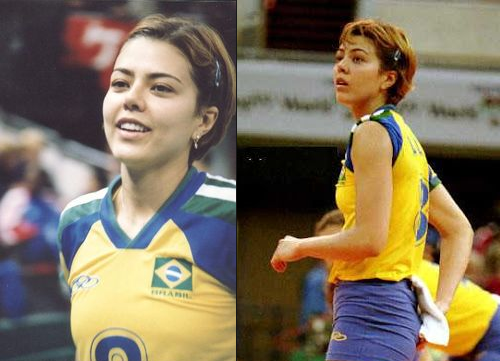 The 47-year-old who was then a opposite hitter is also part of the Brazilian squad who bagged bronze in the 1996 Atlanta and 2000 Sydney Olympics.